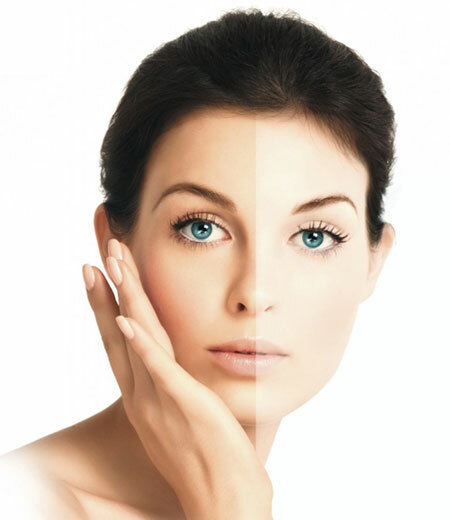 Focused Ultrasound (Doubloe) is a non-surgical method of skin regeneration. During treatment, Doublo emits and transmits high intensity focused ultrasound energy deep into the workspace without cutting or damaging the skin. It transmits ultrasound energy deep into the skin layer up to 5 mm. This method provides face lifting and skin tightening. It does not entail any surgical procedure like cuts or injections on the skin’s surface. Anesthesia is not used during the application. With only one session, patients can see a visible lifting effect. Treatment takes 30 minutes to 1 hour. Patients may enjoy some initial effect but the ultimate lifting and toning will take place over 2-3 months, as tired collagen is replaced with new, more elastic collagen. As this collagen-building process continues, further improvements can appear up to 3 months following a procedure. There is no need of any preparation before session. You can go about your daily life afterward. After Focused Ultrasound (Doublo A) face lifting application, situations such as facial expression or topognosis will not occur. This application can not deface your natural appearance. This methods attract great attention in our country which has apllied since 2009 in the world. 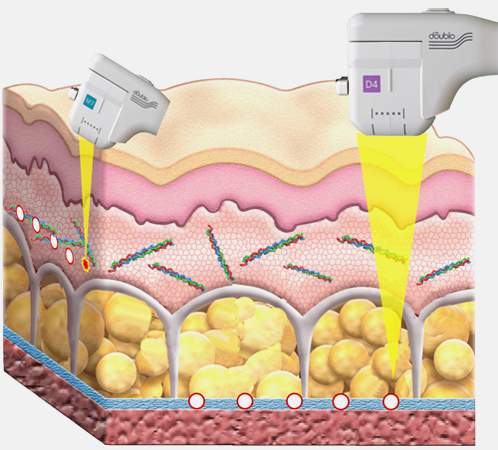 Can focused ultrasound damage skin? Facial and jowl saggings which are the most obvious signs of aging can be treated by focused ultrasound without surgery. Ultrasound is acoustic (sound) energy in the form of waves having a frequency above the human hearing range. Ultrasound has been used in medical field for 50 years. You can go about your daily life afterward. Focused ultrasound method is painless, safe and effective method. Also, it a harmless application. The duration of this process may vary patient to patient. Normally, treatment takes 30 minutes to 1 hour, but it takes 1 hour for a full face. By focused ultrasound, renewal period begins right after one session. Who Can Not Benefit From Focused Ultrasound? There is no time limit for focused ultrosound, but we recommend patients whose skin began to lose its youth. But, general 30 years is ideal for this application. Doublo is a non-surgical treatment that uses HIFU (High Intensity Focused Ultrasound) to actually lift and tone loose or sagging skin without any downtime by using the body’s own healing response. Doublo delivers precise fractional HIFU energy to the epidermis, dermis, superficial adipose layer and deep fascia, initiating a gradual skin tightening and lifting effect spanning several months via the continuing wound healing process. The thermal coagulation zones created by the ultrasonic energy delivered to the targeted area result in tissue contraction as well as collagen synthesis, ultimately tightening and lifting the skin and its deeper supporting structures. With only one session, patients can see a visible lifting effect. Some may get benefits from 2 or 3 sessions. Even in the first session, Focused Ultrasound naturally brigthened the skin. Skin regains moisture. It improves wrinkles. It will help you look 5 years younger. It tightens the skin by stimulating the skin fibers….. Focused Ultrasound uses what is known as bulk heating or monopolar RF to tighten sagging skin, smooth wrinkles and stimulate new collagen production. Focused Ultrasound reaches spectacular results and lasting results in the wrinkles around forehead and eyes, lip contours causes by smoking and arm saggings.